NOAA nautical charts or British admiralty charts contain a hefty supply of nautical chart symbols. Make coastal navigation easy with custom marks—or annotations—so that the most important ones stand out. Pencil your sailing tracklines onto each navigational chart. Tape over each line with the transparent tape. Use the straight edge and felt tip marker to copy each trackline onto the tape. Write in the magnetic course on top of the line. Tape over significant lighted buoys, light structures or lighthouses. Then, circle each structure. To add clarity, add another strip of tape and write down the main features of the structure. Highlight all shoals within 2 miles on each side of the sailing trackline. Use the dark blue highlighter or combine dark blue and yellow for a deep green shade. 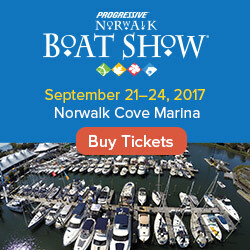 Use these techniques to customize your navigation charts for easier, safer coastal navigation. Keep things simple so that your sailboat crew can see at-a-glance what lies ahead on the sailing route. John Rousmaniere, well known racing and cruising sailor, and author of "Fastnet Force 10" says this: The navigator's job is a specialized one but not sacred. He or she should never feel above explaining it to shipmate." Take his sound advice to heart. 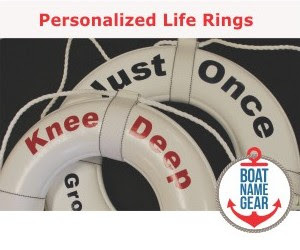 Pass along your customized markings with your sailing partner or crew. If you become incapacitated for any reason, they will know just how to keep your small sailboat in safe water. Follow these five easy sailing tips for safer sailing navigation. Keep your small sailboat and her sailing crew safe and sound - wherever in the world you choose to cruise!